Hundreds of Alpha Phi alumnae choose to give back by sharing their time and talents. Their commitment makes our mission of advancing women’s lives through the power of philanthropy possible. Every year, Alpha Phi Foundation grants the Heart to Heart Grant to an organization advancing research or hands-on education in women's heart health. Enlisting our alumnae with backgrounds in medical research and/or clinical care, we review and evaluate the quality of these applications. The Heart to Heart Grant application deadline occurs in early November. After the application is closed, each Medical Reader is then assigned approximately five applications to read and evaluate over the next month. Medical Readers use the online SmarterSelect platform to evaluate applications at their convenience during the one-month timeframe. The top applications are then presented to the Board of Directors for a final decision. This annual grant is awarded to an organization every February. 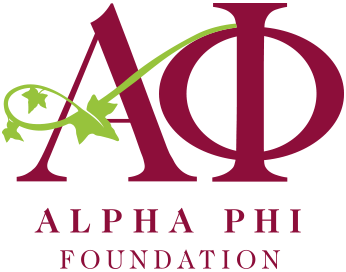 Alpha Phi Foundation awarded more than $277,000 in merit- and need-based scholarships this past year. We receive hundreds of applications from graduate and undergraduate Alpha Phis across North America, and it is a special group of alumnae volunteers who help us evaluate these applications. Scholarship applications deadline is March 1. Each Scholarship Reader is then assigned approximately 35 applications to read and evaluate within a month timeframe. Scholarship Readers complete their evaluations using the online SmarterSelect platform—an intuitive site that makes it fast and easy to review applications at your own convenience. Each applicant is reviewed by five different scholarship readers and is given a final score based on the average of these five evaluations. The Foundation’s Board of Directors and staff then review these scores and applications, awarding scholarships accordingly. Throughout the academic year, Alpha Phi alumnae and collegiate chapters across North America host philanthropy events to raise awareness and funds for Alpha Phi Foundation and its five vital programs. Foundation Speakers may be asked to travel to a nearby collegiate chapter fundraisers to share their passion for philanthropy and why they choose to give back. These events range from Move Your Phi't 5Ks and Red Dress Galas to Hoops for Hearts basketball tournaments and Laugh Your Heart Out comedy competitions. For many events, chapters seek out individuals who can speak to the great impact Alpha Phi Foundation programs have had on their lives and/or the importance of support research and education of women's cardiac care. Alpha Phi Foundation provides Foundation Speakers with talking points at least two weeks before the event date. Please complete the form below to notify us of your interest in volunteering with Alpha Phi Foundation. If you have any additional questions, contact the Program Manager. “I believe this quote embodies Alpha Phi Foundation’s mission: advancing women’s lives through the power of philanthropy.